Go! is all about giving you opportunities to learn more about what it means to follow Jesus, to grow in your faith and understanding of Him and to learn practical skills while serving in a range of hands-on ministry projects. Go! is an internship, an opportunity to work alongside others in ministry and discover the gifts, talents and heart God has given you for serving Him and our world. You will work weekly alongside passionate Christian leaders in real life Christian ministry gaining valuable experience. You will also finish your year with a Diploma in Christian Ministry and Theology through the St. Mark’s National Theological College, a nationally recognised qualification equipping you for further Christian ministry, study and work. Meet with and learn from experienced and highly skilled ministry leaders. Be part of a weekly learning community of your peers. Take part in a Spiritual Growth Plan designed to deepen your relationship with Jesus. Be connected with a mentor to walk with you, support you and pray with you. Gain hands on experience as you serve others in ministry by leading groups, helping at events and working with teams. Work alongside an experienced ministry leader and put into practice what you're learning. A 12-month commitment to Go! 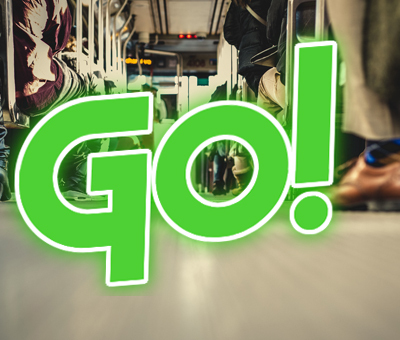 Contribute towards the cost of Go! A heart ready to be challenged, serve, learn and grow. Download our Go! Questionnaire, fill it in and seek God about joining Go! For more info, download our Go! Information Pack and if you're ready to apply, grab our Application Pack. Any questions or want to know more, please contact Andrew by email.